It is needless to mention the fact that Google introduces subtly enhanced versions of its famous OS, Android every year to please their customers but in 2016, they’ve gone a step ahead than the previous ones. Google Android’s latest version has been named Marshmallow and it includes some of the best features that will improve your experience with your smartphone. Features like the extremely exceptional Google Now will be available through one Tap and the battery-saving Doze mode implies their groundbreaking improvement and overall it has been seen that Marshmallow is till date the most noteworthy update of the Android OS. Are you still not intrigued about whether or not you may opt for a system upgrade? Well, here are some worthy reasons which will make you consider Marshmallow as the most useful rendition of Android. USB Type-C: The USB Type-C can well be considered as the mother of all connections. It is freakingly fast, you can use it in any way you want and within the next few years this will probably become the most used connection. Another thing that you’ll love is that it also allows faster charging options than the other traditional cables. You give a Nexus 6P to charge completely and you’ll be rather surprised to see that complete within 2 hours. Google Now on a single Tap: One of the next big changes brought about to Android Marshmallow is through Google Now. Though you may feel that it looks like just the older version but with this version, it is pre-installed in every single corner of the Android OS. The focus of Google Now will be on “context” and this means that the digital assistant of you can better understand your position and what you will be doing as a result. Android Pay: Similar to the Apple Pay, this too gives you the opportunity to store debit and credit card information on your smartphones and then make payments for services and goods promptly and safely wirelessly. In order to improve the security of such payments, Android Pay utilises a virtual account number and maintains an extensive history of the list of purchases that you’ve done while using AndoridPay. System UI Tuner: Marshmallow also mends one of the biggest problems that users had with the Android OS. The mobile OS of Google utilizes the status bar located at the top of the screen for important information regarding battery life, reception but little die they so far realise that this bar can get crowdy when there are too many notifications. Now that the Marshmallow is here, through the UI Tuner, you can replace the battery percentage and place it within the system tray and select which of the other things you wish to be displayed there. In a nutshell, your phone will only give you information which you wish to see. Enhanced copy and pasting: Yes, it’s true that copying and pasting a message or some text information might seem to be a simple task but the older forms of Android made cutting and pasting a troublesome affair. As per the older versions of Android, you had to place your fingers at the top of the screen if you wished to cut a message or copy it and then paste it. But when it comes to Marshmallow, the options will float on the selected text and if you’ve used an iOS, you will know that this feature was also there. Google considers this as a breakthrough improvement of their OS. 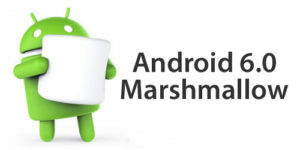 So, if you’re aware of the latest Android news, you would know that this Marshmallow update is being given to phones like Samsung J5 and J7. Update your smartphones accordingly so that you may reap the benefits of this noteworthy Android update and love using your smartphone all over again.